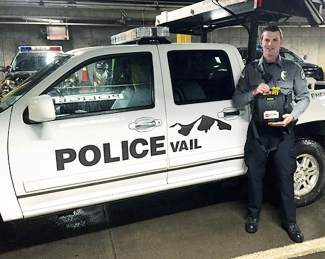 Vail Code Enforcement Officer Casey Ipema now has an automated external defibrillator in his town vehicle. 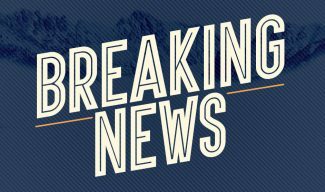 All Vail Police and code enforcement vehicles are now equipped with the devices, which can save victims of sudden cardiac arrest. 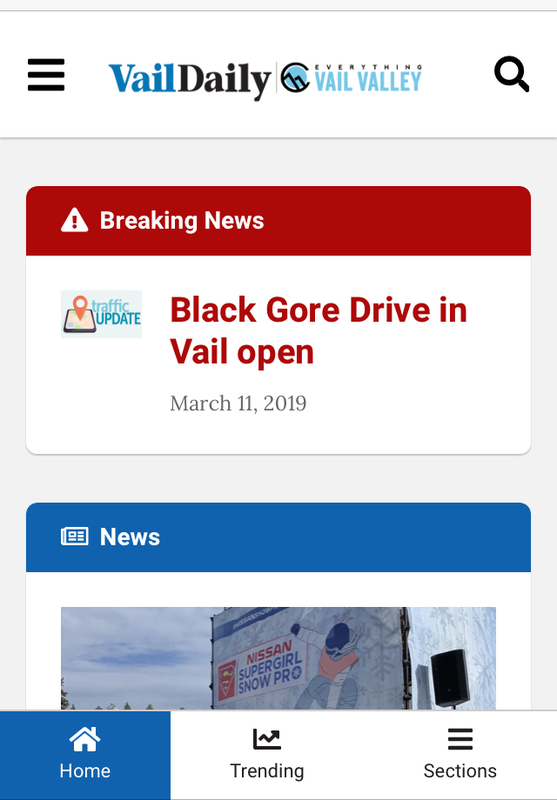 VAIL — The Vail Police Department has equipped each marked patrol car, including code enforcement officer vehicles, with an automatic external defibrillator. In the event of sudden cardiac arrest, there is a small amount of time to save victim — typically 10 minutes or less. 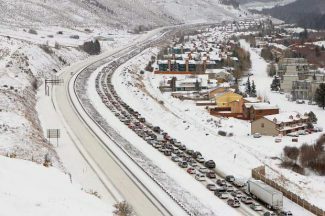 Because law enforcement personnel are often the first on scene, Vail Police Chief Dwight Henninger strongly felt it was a necessity for each marked patrol vehicle to be equipped with an automated defibrillator to better serve the community. The Vail Town Council funded the recently-purchased devices this year’s budget. 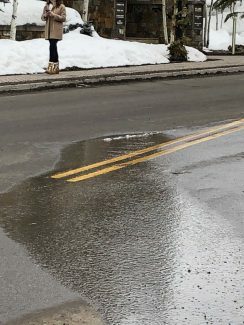 Although the devices are new, Vail police and code enforcement officers have been trained on their use for more than five years. An automatic external defibrillator is a computerized medical device that can recognize an abnormal heart rhythm which requires an electrical shock, and will advise the rescuer when a shock is needed to restore the heart’s natural rhythm. The devices are safe and easy to use, and the American Heart Association considers them a major contributor to survival of cardiac arrest. Each defibrillator will be equipped with a rescue mask first responder kit, as well as electrodes for infants and children. Starting Hearts, an Eagle County nonprofit dedicated to saving lives of cardiac arrest victims, conducts training in cardiopulmonary resuscitation and automated defibrillator use. It uses donations to place automated defibrillators in public locations throughout the county. “Today, with more than 300 (defibrillators) in place, our home is one of the safest places in the nation to experience a cardiac arrest,” Starting Hearts Executive Director Alan Himelfarb said. Sudden cardiac arrest occurs when electrical impulses in the heart become rapid or chaotic, which causes the heart to suddenly stop beating. According to the American Heart Association, sudden cardiac arrest causes 350,000 deaths per year or approximately one every 1.7 minutes. To prevent death, CPR must be started immediately. The use of a defibrillator can increase the chance of surviving sudden cardiac arrest by 70 percent. Without such help the chance of survival drops 10 percent for every minute that passes. 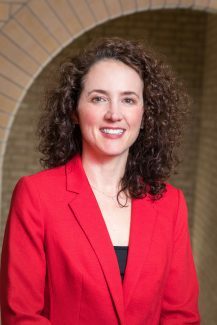 The American Heart Association states that widespread use of automated defibrillators could save approximately 40,000 lives each year in the United States alone. To learn more about the Starting Hearts program, go to http://www.startinghearts.org.